Where are you from? Where are you going? Oaxaca, Mexico. Durham, North Carolina. Yesterday was a long travel day to get from Oaxaca, Mexico, to Durham, North Carolina. On the early morning flight from Oaxaca to Mexico City, I met Carina Pacheco from San Pablo Villa de Mitla, Oaxaca. She was on her way to Cabo San Lucas where the family has a shop that sells famous Mitla woven cotton textiles. Where are you from? she asks me. Teotitlan del Valle, Oaxaca, I say with some pride in my voice. And, now I’m sure to add, Durham, North Carolina, too, also with equal pride. Durham will be my new home, too. Carina and I promise to stay in contact. I’m certain we will. 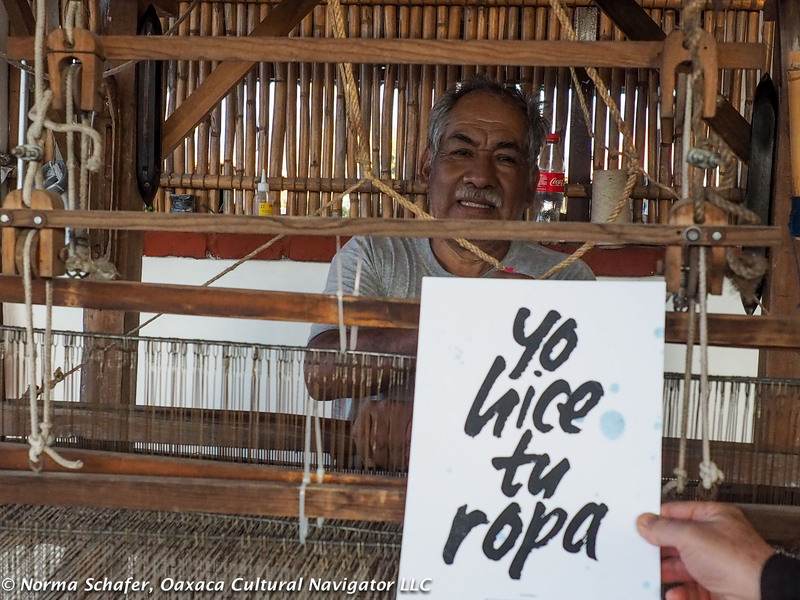 Oaxaqueños keep their promises. Plus, we live only a few villages apart down the Panamerican Highway. In Houston, a young man named Stefano helps me load my two giant suitcases (I’m moving, after all) onto a trolley to go through customs. Stefano is from Puebla. His great, great-grandfather came from Italy. He lives in a small town near Cholula, Puebla, populated by Italians, and speaks excellent English. Mexico is a melting pot, filled with immigrants: Africa, Italy, Eastern Europe, Germany, France, Philippines, China, and yes, the USA. They are Catholics, Jews, Protestants, Muslims, Hindus and more. A long history of diversity shows in their complexions and features. Racial and cultural intermarriage is accepted here. Where are you from? says Stefano. Two places, I answer. Oaxaca, Mexico and Durham, North Carolina. It’s beginning to sound real as I prepare to move into my apartment/condo in downtown Durham, which is why I’m here now. We sit down to share a meal together before he goes on to Tampa, Florida. This only happens to me with Mexicans! 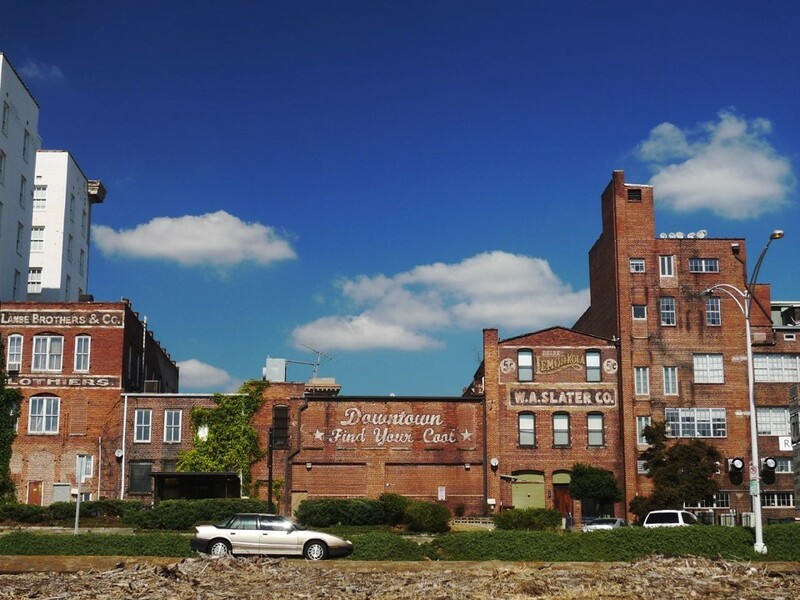 Durham is an old tobacco town undergoing urban revitalization. Its downtown is filled with great restaurants and street musicians who are steeped in the South’s blues culture. It’s a pedestrian lifestyle. I’ll be close to good, longtime friends who I miss. It’s been four years since I’ve had a home in North Carolina and I’m grateful to be back. Oaxaca is my home, too, where indigenous identity speaks to me. This is where I look out over mountains and valleys where textiles woven and dyed with the hands of the artisans are a song. And, what are in my suitcases? Oaxaca whole bean coffee. A cotton bedspread woven by Arturo Hernandez. A rebozo from Tenancingo de Degollado. A blouse from Cuetzalan, Puebla. A poncho from San Cristobal de las Casas, Chiapas. Borders are seamless in the end. Yet, an airline representative steps onto the plane in Houston and says that due to heightened security, we will be escorted to immigration. I don’t remember that. Another new form of intimidation? This entry was posted in Creative Writing and Poetry, Cultural Commentary, Textiles, Tapestries & Weaving, Travel & Tourism and tagged Durham, home, immigration, Mexico, moving, North Carolina, Oaxaca, travel, where I live. Bookmark the permalink. How brave and marvelous and right to take up the fight in NC…without giving up Oaxaca. I, for one ( along with many others, sin duda), will be following with great interest your political involvement , right along with your Mexico/ travel blogging. Oaxaca is with me wherever I am. At this moment, sipping Gracias a Dios Gin Mezcal and feeling content as I unpack my alebrijes and textile treasures. Nos vemos muy pronto. Estoy lleno por el tour de la costa en enero 2018, ojala. Besitos, Barbara. Norma, Loved the post, as usual. It lets me pretend to travel along beside you. And WELCOME back to North Carolina and the special blue bubble of Chapel Hill. I have a friend who is in a local weavers’ group…we’ll have to see what she can share about the craft in this area. Good luck settling in and I hope to see you soon!! Hi, Kaola, I’m looking forward to catching up with you in REAL TIME. I’m in the clouds here in Durham. Loft living is suiting me. Even the constant traffic three floors down at street level reminds me I live in a city now. We’ll make a date. Still immersed in boxes and too much stuff. Besos. I can’t wait to see Oaxaca and all the places you wrote about. Thanks for all your wonderful sharings. I began following your blog after my first visit to Oaxaca two years ago. What a magical place! I have traveled all over Mexico for decades but had never been to Oaxaca. Poor me! Thank you for your thoughtful posts, beautiful pictures and observations. I really appreciate your warmth, empathy, and attention to detail. I think you were spot on in your observations at the airport. I have witnessed intimidation myself. I really don’t think it has a thing in the world to do with protecting our safety. I am hoping human kindness will prevail during these challenging times. Keep writing, whatever you want. It’s your blog after all. We are all lucky you choose to share. Hola Norma, You seem so happy about your new plan to stay in Durham for part of the year. I,too, adore Oaxaca but also Eugene, Oregon, our Blue Bubble, thankfully. We ran into each other at the Teotitlan Mercado a couple months ago (and visited your home last year on the tour)…had wanted to spend a little time with you in Oaxaca but did not make it happen —el ano que viene, ojala! Enjoy settling into your new US home! It is there for your comfort and pleasure when you want it. your journey, with nice people assisting along the way. I have now taken to saying “Good Morning” to people I pass, walking into a Yoga class or the store. They are mostly surprised, but our ” Buenos Dias” in Tenancingo became a habit…why stop it in the States? intimidation….I look at it as a safety measure. Trump is here for 4 years so learn to accept it and I look at your Blog for Mexican history – not your political views. Ahhhh….coming home, I know that feeling….only 5 days left in my adopted & much loved Perth, West Auz…..heading back to family & the Green fields of the ‘shire to absorb the Spring energy, reconnect, renew & recharge before starting a new chapter. Loving the excitement & feeling of unknown adventure ahead, plus keeping the promises to Camino/ Travel friends that I will, absolutely, see them again sometime soon. when will you be back in oaxaca? i will be there for a short visit……4/5 to 4/20…. Oh Dori. I will miss you. Not back until uMay 15. Hope you have a great time. Give Winn a hug for me and hug yourself for me too. Besos. Welcome home to your new home, Norma. So wonderful spending time with you and the weavers in Teotitlan de Valle and Oaxaca City. Will be in touch.